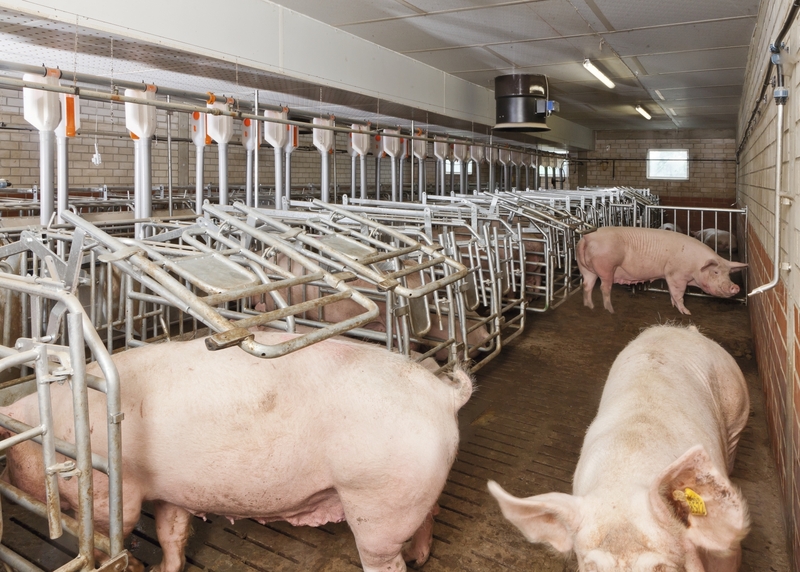 The Free Access Stall developed by Big Dutchman provides animal friendly housing for the sows and optimal working conditions for the farm staff. It can be used in gestation as well as in breeding barns. 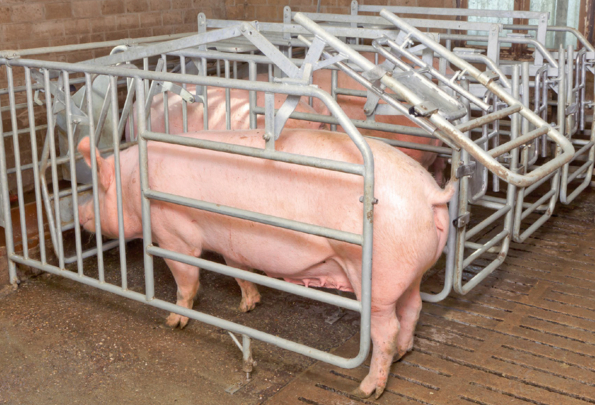 When a sow enters the open stall, the door locks behind her and she can eat without being disturbed or simply use the stall as an individual retreat. The stall cannot be opened from the outside by other sows. 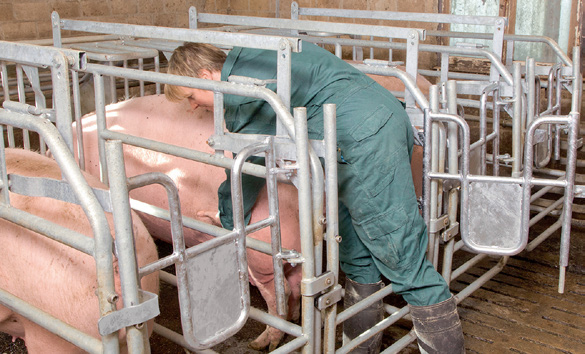 The sow can release the lock by pushing back against the integrated insemination door and leave the stall at her own will.